Mays Landing, New Jersey is located about 5 minutes west of downtown Atlantic City. This proximity to one of the East Coast’s biggest tourist attractions has created a surge in the popularity of the attractions that are located in Mays Landing, New Jersey. Many tourists who visit Atlantic City also visit Mays Landing to see the city’s maritime exhibits and amusement parks. 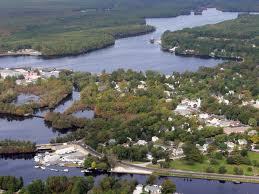 Many people also enjoy living in Mays Landing because its small-town atmosphere lets people enjoy a quiet lifestyle. Others enjoy living in Mays Landing, New Jersey because of its proximity to the Atlantic Ocean and famous golf courses. Unfortunately, Mays Landing residents occasionally have problems with ants, termites, moles and other pests who also enjoy the area’s damp environment. This problem is expected to grow as more people move in to the area. 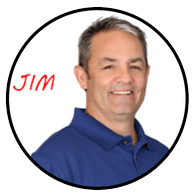 A TermiGuard pest control expert can help you with your pest control needs. Mays Landing residents can trust TermiGuard to help them remove ants, termites, moles and other pests because we use modern extermination and prevention techniques that use the pests’ sense of smell to hamper their ability to enter your home. The best part about using this unique approach to resolving pest control problems is that using this approach can help you keep your kids, pets and valuable items safe. All of our extermination and prevention techniques use specially formulated products that are safe to use around kids, senior citizens, pets and valuable items. Furthermore, you should also consider hiring a TermiGuard pest control expert to help you resolve your ant, termite or mole problems because we offer all of our clients a full money back guarantee on all of our services. We provide this industry-leading guarantee because we want you to be completely satisfied with all our services. Don’t wait any longer. Call one of our TermiGuard pest control experts today to schedule a visit at your home. It will be the solution to resolving your pest problems once and for all!